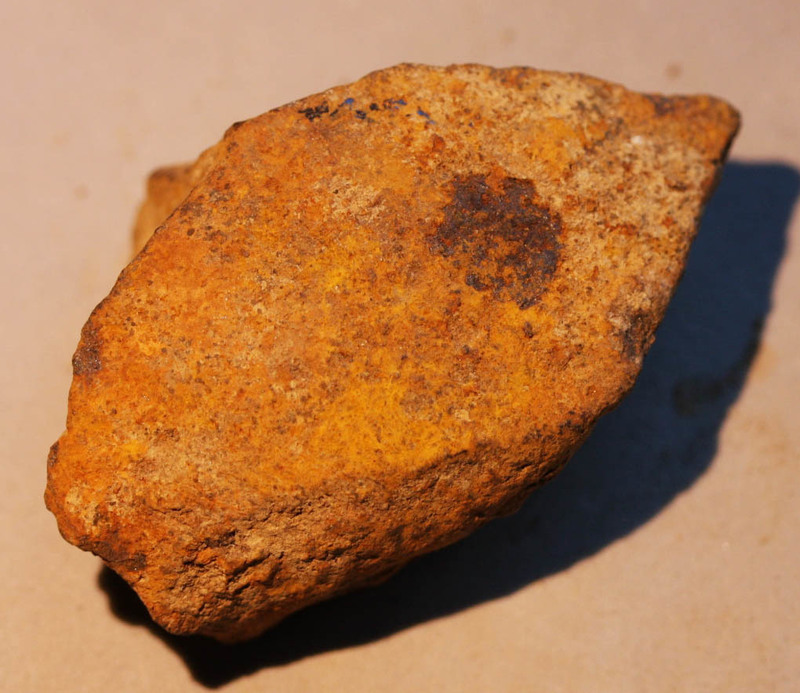 Because of the way that the thick iron has been broken here, this small relic (2 1/4 x 1 1/8 inches) is almost certainly an artillery shell fragment, but it is unusual and I couldn't really tell you what kind of shell it came from. It was once part of the famous Rosensteel Collection of Gettysburg. 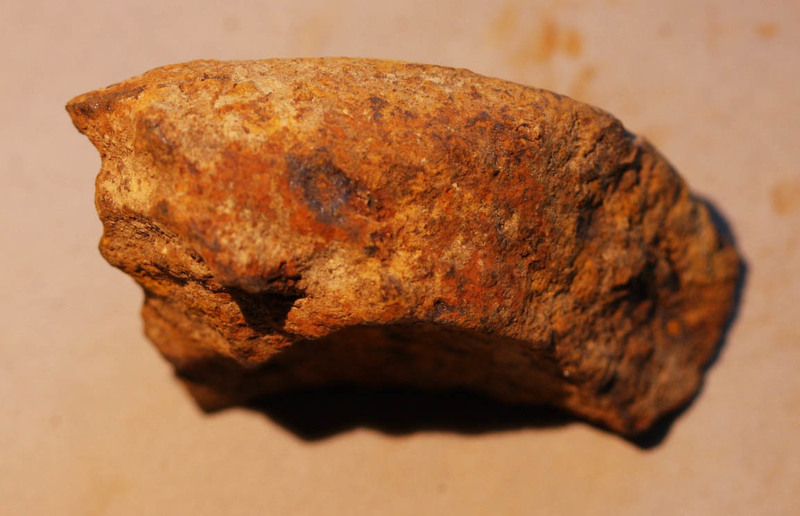 This specific relic was identified as having been found in the field of Pickett's Charge and was part of the relic collection given to the Rosensteels by John Cullison. Cullison recovered the relics that he gave to the Rosensteels between 1930 and 1960. The Rosensteel Collection is arguably the most famous collection of Gettysburg relics that has ever existed. John Rosensteel opened his Round Top Museum of Gettysburg artifacts in 1888. The collection, which grew in size as a variety of local collections were acquired (including artifacts found by John Cullison), became the nucleus of the Electric Map Museum collection and ultimately the Gettysburg National Park Visitor Center collection. 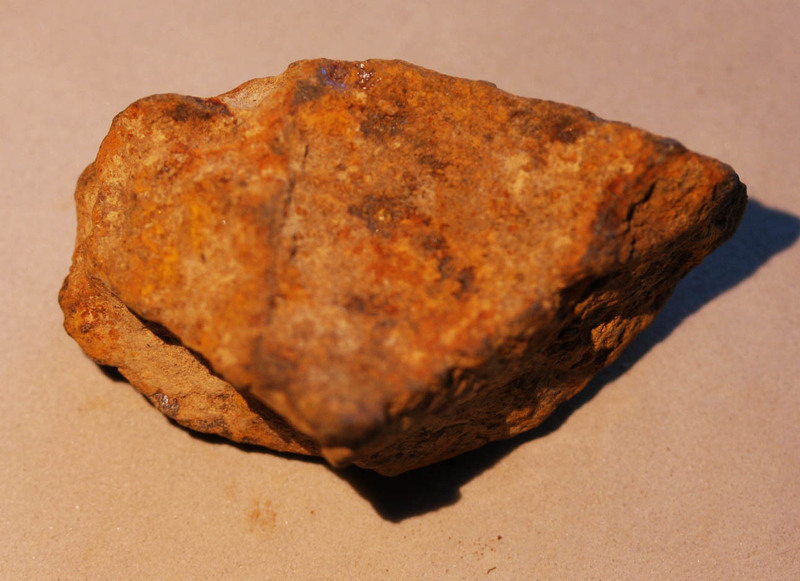 Cullison, a Gettysburg resident, hunted many areas of the battlefield (by eyeballing relics first and then with a metal detector in the 1950s) and carefully identified the location of recovery. All of the Cullison items that did not go to the National Park Service were acquired by the Horse Soldier in the 1990s - I acquired this relic from that source. 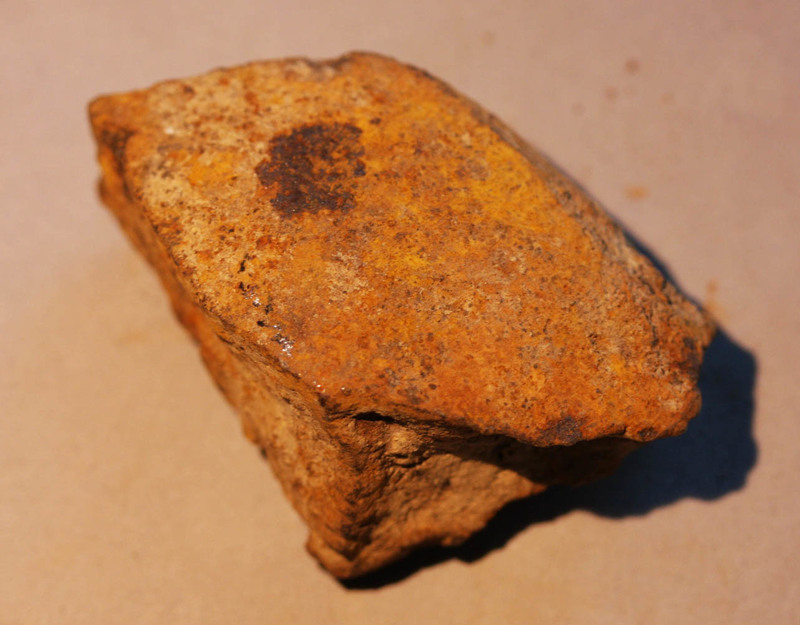 This Gettysburg artifact not only has wonderful provenance but it was also found at one of the most famous locations on the battlefield! I will include a signed provenance letter.